Almost everybody translates the first clause as some approximation of "fifteen cubits upward the waters rose". I've always understood this to mean the waters rose fifteen cubits above the peaks of the mountains; this is Rashi's opinion. I am trying to unpack the word "מִלְמַעְלָה" and am having trouble. I know that "ma'alah" means "up" from the root ayin-lamed-hei, but the leading mem and lamed are throwing me. ("From to"???) What is the literal meaning of this word here? This question (err) arose because someone who has studied modern but not biblical Hebrew suggested that this passage should be translated somewhat differently, and I'd like to understand whether that interpretation has any basis in this context. Same word, translated here as "from above." We don't discuss the cover of the ark being from the top of the mishkan or some roof. It is placed on top the ark. Similarly here, the water is on top of something. It is a bit ambiguous in the verse above what, so Rashi explains above the mountains. Not the answer you're looking for? 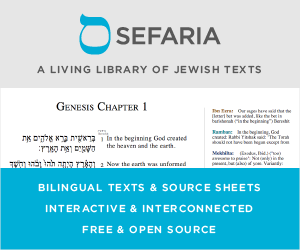 Browse other questions tagged parshanut-torah-comment grammar-dikduk parashat-noach translation .